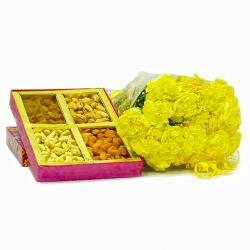 Take a look at this wonderful gift item which is available for specially for you to gift your dear ones in India. People use flowers to express their wordless emotions. 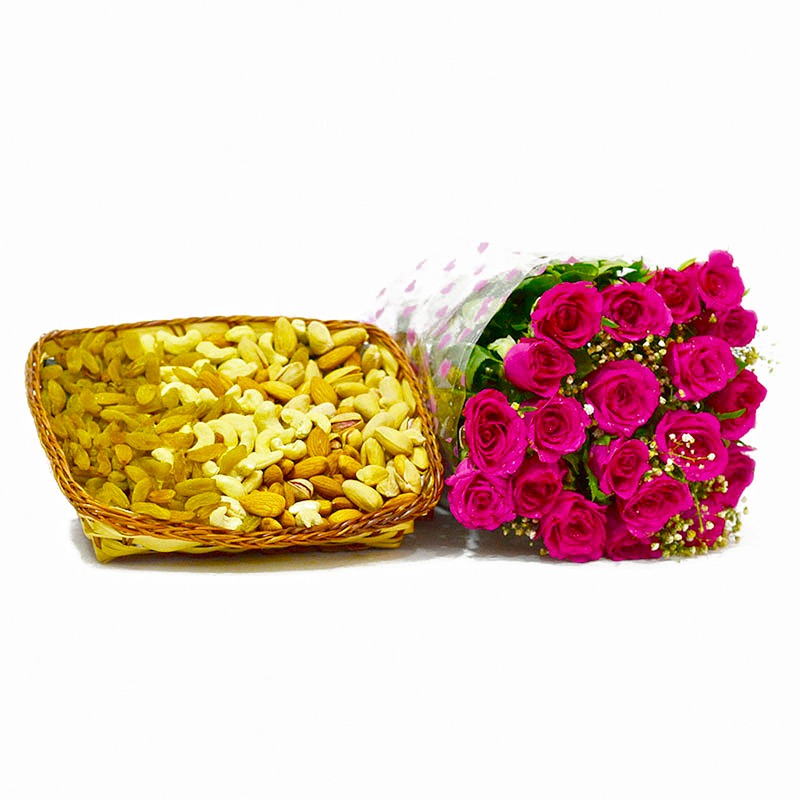 On this special event your special someone is delight with this stunning bouquet of Pink Roses Add more joy with mix dry fruits box and get appreciation and gratitude. 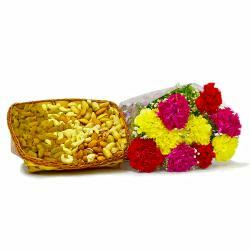 This remarkable gift item which is sure to elate the one you adore. 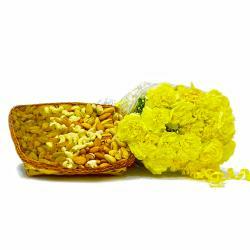 Send this lovely gift on occasion such as Birthday, Anniversary, Get Well Soon, Lohri, Fathers Day Select this special gift combo and order it online . We make sure it will be deliver as per your expected time. You may also send Gifts to India to your near and dear ones through Giftacrossindia. 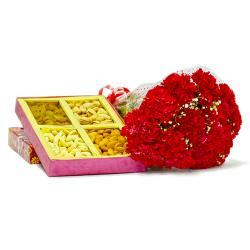 This gift hamper contains : Bouquet of 20 Pink Roses along with Mix Dry Fruits in a Box (Weight : 500 Gms).